The past few years have been brutal for home buyers in central Ohio. Housing inventory has been at historic low levels. Realtor.com recently moved Columbus, Ohio up from #12 hottest market to #4 in the country. The ranking system is based on number of hits or view a property listing receives and how fast homes are selling. Mortgage interest rates and housing inventory levels are both rising so hopefully we will see an improvement in the market by the next year. Columbus Business First – Columbus leaps five spots to become fourth hottest market in the nation! The Columbus Dispatch Newspaper reported a recent Zillow report that total value of all homes in Columbus, Ohio rose an amazing 15.1% increase in 2017. This was the largest percentage increase of any of the 35 large metropolitan areas used in the report. A home purchase is typically the largest financial transaction that any of us will encounter in our lifetime. Buying a home can be an overwhelming, complicated process with many steps and decisions to be made. Hopefully this article will help you by breaking everything down to just two simple steps to buying a home. 1. Find your agent first, not your home! Everyone loves searching for homes in their pajamas at night. But, you should actually first start researching for the best agent to represent you. There is no denying that buying a home is an emotional decision. But, typically in life, any major financial decisions based on emotion will increase your odds of making the wrong decision and possibly costing you a lot of money. When it is all “said and done”, researching for the right agent is not as fun as searching for homes but in the long run your wallet will probably thank you. “Angie’s List” is an excellent resource to help you find an agent that will be your advocate and trusted advisor in the home buying process. “Angie’s List” provides potential homebuyers with an unbiased, comprehensive database of qualified real estate agents and not just pretty pictures of houses. The most important first step to protecting yourself is not to do the process alone and have an experienced, real estate buyer broker looking out for your best interest. 2. Not all agents are the same! As a home buyer you want to find an agent that will be your advocate throughout the home buying process. You should try to contact or interview at least 2-3 real estate agents. But, not all buyer’s agents are the same. Some buyer’s agents will try to work with Sellers at the same time and be a dual agent. So, it can be very confusing trying to sort through all the different types of real estate professionals. You should make sure at least one of the agents you contact is a “true” or Exclusive Buyer’s Agent (EBA). In December 2009, The US Department of Housing and Urban Development (HUD) advised home buyers that it is their responsibility to search for a real estate agent that will represent their best interests. HUD revised the ‘Shopping for Your Home Loan – HUD’s Settlement Cost Booklet”, HUD states: “If you want someone to represent only your interests, consider hiring an ‘exclusive buyer’s agent,’ who will be working for you.” An EBA does not take listings or sell homes. EBA’s just works with Buyers, not Sellers. Buying a home is the most expensive financial decision that most of us will make in our lifetime. Don’t cut corners! Make sure you interview multiple agents and be aware that not all agents are the same. If you do this then you should end up with an experienced agent that you trust. The home buying process can be incredible stressful and complicated. But, if you follow these two simple steps above then you will be going in the right direction to getting your new home for the best price and terms. One of the best resources to find a good, experienced Real Estate Buyer Agent is reviewing testimonials and reviews from past clients and business associates. Buyer’s Resource Realty Services is the oldest Exclusive Buyer Broker Agency in central Ohio. Since 1996, I’ve complied 100+ Buyer Agent testimonials and reviews from Zillow, Yelp, Angie’s List, LinkedIn, Trulia, emails, thank you cards and surveys. BUYER AGENT TESTIMONIALS & REVIEW! I can’t tell you how delighted my wife and I am that we choose Mike and Buyer’s Resource to help us the purchase of home last July. We can only hope that this letter can serve as a reference to any potential Buyer’s Resource client. You can definitely be assured we will try to spread the word on the professionalism and experience that you and Buyer’s Resource brought to the closing table. We are also delighted to that the Buyer’s Resource contract not only stood up in court, but allowed first time buyers like my wife and I to have peace of mind knowing that the contract was written to protect us. Please find enclosed a copy of the judgment ruling showing how your contract allowed us to recover our damages. In fact, the county Magistrate actually said in court, “maybe this provision (paragraph 3) should be in the Columbus Board of Realtors Contract”. Once again thank you for your time, dedication and experience. It is definitely a rare experience to find a company like Buyer’s Resource now a day. C.J. & Fran G.
Mike Marshall is an excellent agent. We really appreciate his professionalism and dedication to his job. Thanks Mike for all that you do! He will take care of you from beginning to end. I sincerely recommend Mike as an elite real estate professional. Brian & Michelle Z. Simply put, Michael Marshall is the best real estate agent in central Ohio. My wife and I were first time home buyers when we hired Michael. He is honest and not afraid to give his opinion. He works for you. I happily recommend him and look forward to working with him in the future. We encountered absolutely no problems before, during, or after our home purchase. We couldn’t be happier with how our first home purchase turned out. I was extremely nervous about buying a home, and Mike made the process so very smooth and easy to understand. Mike was extremely helpful, very professional, and a great advocate for us. We had a great deal of trust in Mike. Mike is easy going, never pushy, and personable. He always had our best interests in mind, pointing out what was needed, what was wanted, and what was crap. Mike was very prompt with answering questions and had constant communication. We have learned so much from Mike. We could get a hold of Mike day or night, and the personalized website made looking for homes so easy for someone who works nights. Mike helped us narrow down our choices, and we found our perfect home almost instantly. I have and will continue to recommend Mike to anybody thinking about purchasing a home. We recommend Buyer’s Resource to everyone that will listen to us. We will use no other real estate company except Buyer’s Resource. Jon M.
Mike Marshall was our buyer broker for the purchase of our first home. Mike kept process running smoothly. From the start, Mike worked tirelessly to make the process easy and understandable, patiently answering every question we had (some we asked more than once). Mike had our best interests in mind at each step and got us into a house we are very happy with. For anyone buying a home and in need of assistance, I highly recommend Mike Marshall. After possession issue is a leaky foundation; possible non-disclosure by seller); Mike is helping us to resolve. Mike Marshall was a fantastic agent on our behalf. My wife and I were extremely pleased with our service. Kevin C.
Mike, Thanks for everything you done for me! I’ve enjoyed working with you these past few months. You’ll definitely be highly recommended to anyone I know that is looking to buy a house. Thanks again for the work you did. This day wouldn’t have happened without you! God Bless! Adam J.
Mike did an excellent job and it was a pleasure working with him! He’ll be highly recommended to anyone I know that is looking to purchase a home. Megan S.
I know that the past few months have been very busy for us and extremely busy for you. My wife and I both want to thank you for all the hard work you put in during our home buying process. Going from our original Realtor through our apartment complex to you and buyers resource. The difference was obvious. You were there for all of our questions and guided us through every step of the way. You have a great attention to detail and are very good at what you do. Working with you was a pleasure. May good things and plenty of business come to you for years to come? You will always get a great recommendation from us. Michael R.
Mike was a great resource for us. He responded to our text messages and emails in a timely fashion. Kudos to Mike! Jeff & Kareena G.
Mike, thank you for all of your help and support with the purchase of our new home! You truly enhanced our home buying experience with your great insight, knowledge and helpfulness. We really appreciate all the extra time you took to do research and provide us with detailed information. We will definitely give you a call if we are in the market for another home someday. Thank you for everything! Best wishes. Rebekah M.
Michael Marshall stood by our side to very end during our home buying process. I really appreciated that since we are first time home buyers. Mike is very experienced and knew what he was doing. I would definitely use Michael again. Amber M.
Mike handled every situation quickly, professionally, and made the home buying experience an easy one. Mike had answers to all our questions and even ones we didn’t think to ask. We felt like Mike was open and honest. E-mails and phone calls answered quickly by Mike. Mike is very level headed and easy to get along with. We evaluated many homes efficiently and effectively. He understood that it was important to investigate every home, but also got us through the process quickly so our time was never wasted. Mike was always on time, clean cut, and organized. For a first time home buyer we had a lot of questions that needed answers and there were a lot of things we didn’t even think about considering when buying a home. Mike was there to make sure we had every bit of information we possibly could to make sure we made a smart and educated decision. Every chance we get we recommend Mike at Buyer’s Resource. Mike Marshall would be our first and only choice if we ever had to purchase again. Karisa R.
Mike could not have been better or more helpful. He’s the greatest agent I’ve ever worked with and would recommend him to anyone! Claire P.
We had no problems at all. Everything was perfect thanks to Mike. This was our second house using Mike and he was there for us 100%. Mike was always straight forward with his views of houses. We valued his opinion and honesty. We never remotely thought a negative thing about Mike. Mike always returned our calls and email in a very timely manner. Don P.
Mike was excellent. I have learned so much from Mike. We had a great deal of trust in Mike. Mike was very prompt with answering questions and had constant communication. He was extremely helpful, very professional, and a great advocate for us. John M.
Mike kept process running smoothly. After possession issue is a leaky foundation; possible non-disclosure by seller); Mike is helping us to resolve. Mike Marshall was a fantastic agent on our behalf. My wife and I were extremely pleased with our service. Liz C.
We have referred people to Mike in the past and will continue to do so; he’s the best! Shannon & Donnell T.
This was our 2nd home purchase with using Buyer’s Resource and Mike Marshall. We first dealt with the company and Mike in 1998-1999 and purchased our first home in May 1999. We really didn’t have any qualms with having Mike help/guide us through the process. We had already had a friendship/trusting relationship with him and the company from 10 years ago. Just as with our first home purchase 10 years ago, with Mike, we had absolutely NO issues with contracts, inspections or closing. It went very smoothly and perfectly! As with 10 years ago, it was almost like a déjà vu scenario same broker, same mortgage consultant – just different year, price range and different home. Everything went absolutely perfect! Mike is great for knowing exactly “what to ask for and when!” We totally trusted him, as he is the professional in this matter and each time it definitely worked to our advantage! Mike was always nothing short of honest (with regards to all aspects of the deal – waiting on contracts, inspections, etc.) and completely upfront when he felt something didn’t add up or seemed “iffy” when dealing with other sellers, realtors, etc. We initially sifted through the websites and Internet options before settling to visit (initially) homes in person. We actually went into contract on a home (not this one), however after the initial contract was signed, the seller/agent disclosed that the house was in short sale status…so we ended up waiting approx. 6 weeks before we decided to end contract and move on. We then immediately found/went to contract on our current home and everything fell into place. We would absolutely use Buyer’s Resource again, as this is our 2nd time (after 10 years)…However since we aren’t planning on purchasing another home for at least 10 more years…we aren’t sure that Mike will still be selling :)! We currently have some friends that are about to start looking for their first home(s)…we have already planted a seed in their ear regarding Mike and the entire Buyer’s Resource Team! 🙂 Ric & Melissa B.
I was new to the Columbus area (moving here for graduate school) so I needed a lot of hand-holding regarding the best neighborhoods for my husband and I. Mike was fantastic and pointed me to a neighborhood I would have never considered without “insider input”. It’s turned out to be perfect for us. My husband and I viewed approximately 10 homes via open house before meeting Mike. With Mike, we viewed about 15 homes in one outing. We purchased one of those 15 homes. Mike was so helpful in pointing out potential problems during home walk-through, advising about neighborhoods and budget, etc. We have appreciated his follow-up emails after purchase, which reminded us to do several things that would have otherwise slipped our minds. I did most of this home purchase from my previous home of Ann Arbor, Michigan, and Mike was always easy to reach via phone and email. Half the time he would call ME, having already thought of some important issue or appointment that we needed to think about, which really helped me out. I feel confident that I got a great deal on this home. When it came down to choosing between two houses, Mike provided useful information about taxes and pricing that helped us choose one home over another. My mother, who was closely involved with this transaction, wants to know if Mike has a life outside of real estate. We’re sure he does, but his clients would never know it! I know it’s not true, but I felt like Mike was thinking about my home purchase transaction 24/7 from the time we started searching MLS to several days after closing. He’s awesome! Mike not only arranged for the sellers to pay $2500 of our closing costs, he seemed eager to find things that we could get covered by that $2500. With our non-traditional mortgage, we were not paying loan origination fees or application fees, so Mike was helpful in figuring out what we’d do with our $2500. My husband and I will probably leave the Columbus area in 5 years, but we have already recommended Buyer’s Resource to friends and family and will continue to do so. Jen M. & Chris H.
Mike was outstanding. He was referred to us from a friend of mine. I have and will continue to recommend Mike. Our experience with Buyer’s Resource was excellent. Christina & Jon M.
I bought my first home using Mike, then, as now, he was very patient and did everything and more that we could have expected. On experience and knowledge, I would give Mike 10 out of 10 because he was able to answer every single question we had in a very straight forward way with no equivocation. Mike has never tried to convince us of a house’s merit, ever. He allowed us to make our own decisions. What I’ve always liked about Mike is that he’s not overly aggressive or passive. He just made us both comfortable enough to be blunt with him in the process of our home search. I have referred people to Mike specifically at least a half dozen times. Robert & Lesly P.
Mike was great; he was patient with us but still able to guide us in the right direction. Our lender commented on his professionalism and class. We would highly recommend him (and have) to any new home buyers. Mike is an outstanding resource; I cannot say too many good things about him. Chip & Meredith P.
Our experience with Buyer’s Resource was excellent. Mike Marshall did a nice job. Mark & Lori M.
Michael provided great services. As a first time home buyer we appreciated his patience and expertise. Doug & Stephanie F.
My experience with Michael as a Buyer’s Agent, proved to be very successful. My searches lead to the perfect house and location for my family. Mike is a different kind of Buyer’s Agent; he will not try to sell you on any specific home. Rather, he does due-diligence of each home leaving the buying decision to you. Mike made us aware there is much more to buying a home than TV makes it out to be. Mike noted possible issues with each home we looked at such as the type of furnace, age of the hot water tank, maintenance costs of an outdoor hot tub, etc. On top of that, his assistance after buying a home is invaluable. As a Buyer’s Agent, he was extremely knowledgeable, professional and supportive throughout my home buying process. I would recommend Michael to anyone looking to purchase a home in Central Ohio. Angela M.
My wife and I have worked with Mike on 2 occasions. And if we ever choose to buy another home, we’ll make it 3. Mike is the best. He knows his industry. He knows his market. And he knows how to make the entire process smooth and enjoyable. I’d imagine there are a lot of “used car salesmen” in the real estate business. Mike is as far from that as you can get. He’s not just good at what he does. He’s a genuinely good guy. I’d certainly recommend him to ANYONE. In fact, I wouldn’t just recommend him. If I had a friend who was looking to buy a home, I’d insist they give him a call. Michael & Karen S.
Michael’s work ethic was impeccable! I received information about issues that were important to me in the home buying process. He is very detailed oriented. Therefore, it is without reservation that I offer my support to Michael. He is one of the best in his industry. Kimberly M.
I’ve known Michael as an associate and friend for over ten years. He is a dedicated and competent advocate for home buyers. I would recommend Michael to anyone thinking about buying a home in the Greater Metro Columbus Ohio area without reservation. Ken R.
Michael was very professional, personable, and helpful. I can only hope that we will have the opportunity to work with someone who is as knowledgeable and trustworthy when we need to sell our house in a couple of years. Jennifer H.
I had a very favorable experience working with Mike Marshall with the purchase of my first home. He made a very difficult process (finding the perfect home) more enjoyable and less stressful. He definitely looked out for my best interest and is an expert in his field. When it was time for me to buy my second home six years later, I knew that there was no other person I’d rather work with than Mike. Again, Mike made the process of looking for that perfect home less stressful and more manageable with a full time job and two kids. I would highly recommend Mike to anyone looking to purchase a home. John L.
Michael is the consummate professional. He takes pride in the service he provides for his clients. He always has his client’s best interest in mind when researching and showing homes. I have sent friends to him and would use him in the future for any home purchase. James K.
Michael Marshall was excellent to work with. He was pleasant, knowledgeable, informative, punctual, and always kept me apprised of new listings he thought I might be interested in. He was never intimating and was always willing to answer any/all questions I had. I highly recommend him. Karen H.
Mike is a great Buyer’s Agent. He is there to work for you and you alone. He is not trying to sell property; he is there to help you find the home that you want. Mike was excellent to work with and we have also had 4 of our friends use him. Our next house, Mike will be on the job for that too. Daniel P. & Renee S.
Michael and I worked many years ago at Household Bank FSB. He was a patient and knowledgeable mentor to me. Through the years we have kept in touch and our paths have crossed again in the real estate industry. I have referred many of my members to Michael as a buyer’s agent knowing that they are in competent, reliable hands. He even helped me buy a home. Dorothy H.
I must say that one the best customer service experiences of my life involved Mike Marshall. Mike assisted me in purchasing my home. Mike is thorough, dedicated to his customers, will fight for your best interests and is completely on top his game. I would recommend Mike to anyone. Joel & Rachel B.
Michael helped my husband and I find and purchase our first home. He is truly an expert in what he does. As first time home buyers, Michael provided valuable commentary during our home tours-noting things that we would not have noticed such as cracks in basements, new flooring/windows, drainage issues etc. The great thing about Michael is that while is insightful and informed, he is not pushy and is very patient. He takes care of his clients and always makes himself available to visit houses and answer questions. He is assertive in contract negotiations and reads the fine print. I highly recommend that you use Michael Marshall as your Buyer Broker. Rebekah M.
Michael was extremely thorough and helpful when he assisted me in the purchase of my home. I would definitely hire him again! Monica P.
Michael led us through the maze of first time home buying by personally visiting homes and sites with us and offering his expertise in home buying evaluation. His observations/recommendations were on target with our wishes and expectations. I would unqualifiedly use him again to assist us or other members of our family in any real estate venture that matches his excellent business background and knowledge. Jim & Pat H.
It does not matter if you are a first time home buyer or a pro, Mike makes it easy and low stress. We did this when we were 4 months pregnant with our first daughter. Amanda & Teague W.
I have worked side by side with Mike for about 8 years. Mike is an expert and detail-oriented exclusive buyer representative who goes to great lengths to be sure his clients receive excellent service. With his background in banking, Mike is particularly knowledgeable about home financing. Mike is a dedicated and determined advocate for his clients and is rewarded by having many repeat and referral clients. George B. If you are looking to buy a home, Mike is the way to go! He gave me detailed information to help me make an informed decision. He also gave me his resources to help me out in other categories in the process and went to battle for me to ensure I got the best deal all the way around. You will not get this type of service from a regular broker. Regina F.
From the moment we met Mike we liked him and went to on have great respect for his knowledge and integrity. I have no doubt that Mike had our best interests in mind and was there for us, not the seller or the other agents. If I ever bought a house again I’d definitely contact Mike about helping us through the process. He’s a great guy. Pam & Craig S.
Honest, Dedicated, Patient, Persistent are just a handful of words I would use to describe Mike. My wife and I utilized his services when purchasing our first home. We had previously had a couple of false starts and bad experiences with other real estate agents prior to meeting Mike, through a co-workers recommendation. Mike erased those bad memories and replaced them with a positive and stress free experience. His dedication to finding a home that met not only our needs but more importantly our budget as well is just one of the reasons I would not hesitate to recommend Mike and his services to anyone currently interested in purchasing a home. It was the first time we felt, that as a buyer, our needs had been placed before the sellers. Even with a protracted search, Mike continued to ensure that we had opportunities to review until we found the “right” one. For me, no greater compliment can be paid than to personally recommend someone for their services and I have always been willing to recommend Mike to my friends, co-workers, and associates who have been in the market for a home. In the future, my wife and I will not hesitate to once again use Mike when the time comes to find our next home. Jason & Stephanie S.
Working with Mike was a great experience. He is very Knowledgeable and experienced. I ask a lot of questions, and he was patient with me — diligently tracking down answers when necessary. I was also impressed with his availability to show us houses at all times of the day according to our convenience. I highly recommend his services. Matthew B. We were looking for a home away from the city. Mike was willing to find homes for us and make the trips to view many homes in some quite distant places – it was unbelievable! He was patient and helpful. We definitely wanted to go rural, away from the traffic, congestion, and houses that were too close together. We desired some privacy in our location. I was approved for an amount, but very fearful that I might be getting in over my head. Mike gave me excellent guidance and connected me with other wise people to help in the process. The first home I decided to make an offer on had just gone in to short sale situation – that was heartbreaking. The next home I selected I could not get financing for. Finally, the home I purchased – it felt like a lot of negotiating with the seller on price, then possession, terms. Again, Mike was patient and wise as he led me through the process. I would highly recommend your company to anyone, and have mentioned it many times to my kids (potential future home buyers). He is extremely knowledgeable. Always felt he was being honest with all of us, and looking out for my best interest. Mike always responded to my numerous and lengthy e-mails, and frequently called me to update me on the status of my contract. Mike seems to always be working! He contacted me in the evenings, on weekends, on holidays! Mike was very friendly, had a good sense of humor and was patient. Mike was good at keeping us on schedule as we visited multiple houses in one day. I felt he treated us very professionally, and kept the professional ethic also, when I was frustrated with the seller’s agent. Mike knows what he is doing, and he knows the right people to connect you with – a great network of people in the business to help with the entire process. Mike always updated us, and kept checking on the status of our contracts. Mike wisely negotiated Sellers to pay our closing costs. I would absolutely recommend Mike to anyone I come in contact with that is in the home buying process. Sharon K.
Finding a home in time for the federal tax monies was our biggest concern. Close seconds were condition and making sure the value would be there after a rehab. There were no real problems. Some slow paper work from a couple of parties but overall everything went great! Really, we started looking for a home and just needed a realtor for access to the MLS. By the end we consider Mike a friend and will recommend him to anyone we know of looking for a home. And the next time we’ll call Mike first. We’re so glad we found him. Rate Mike’s service on a scale of 1-10, how come this doesn’t go to 15? :). Mike was good at follow up. He was making calls I didn’t ask him to make, didn’t even know he could sometimes. He got valuable information on every property to help us in our decisions! Dan N.
Mike was awesome! We don’t know how we could have done it without him. He was very knowledgeable and informative. He kept us on task and made sure to identify any potential problems in the houses we viewed. We felt very comfortable and well prepared for buying our first home thanks to Mike! Only minor problems in dealing with the seller on some work that needed to be done pre-closing. However, Mike was able to work with a hard to reach selling agent and get most of the issues remedied. Stephen R.
I recommended Mike to a friend at work and she is now actually one of his clients. Another friend will be inquiring soon. Mary K.
I will give all the superlatives for the professionalism & dedication to satisfy buyer’s needs from Mike Marshall & in his absence from Andrew Show. It not only reduced our stress but made the whole experience pleasant taking care of every aspect in home buying, matching our needs by timely e- mails with the listings, expert advice on financing, tireless visits to interested houses & condos, pointing out details on construction, quality, neighborhood, shopping, traffic conditions & inspection. Mike showed great knowledge about the condos & houses. I have seen very few people in this industry with the honesty & integrity of Mike Marshall. Mike always returned the calls & e- mails on timely manner. Whenever Mike was out of town even on short vacation, he notified & gave alternate contacts. Andrew Show even not being our direct agent answered our questions with great details. With us being out of state, any time we could not attend important things like inspection, Mike spent his time for entire inspection & follow up. He gave us timely updates by taking pictures of the construction & progress. Mike never hurried us up with visits to prospective houses & took time to answer every concern. If Mike did not know any details, he found out on very timely basis from reliable sources. As I have mentioned before, I have seen very, very few agents with all round professionalism shown by Mike. We are glad that we signed with Buyer’s Resources instead of signing with realtor who sells & buys the houses. Shankar N.
No matter what arose as a potential roadblock or issue, Mike was extraordinary in his delivery of critical information as it related to the pending issue. From our perspective, Mike remained extremely transparent for us. Mike was outstanding. Mike exhibited unchallenged honesty. Whether good or bad, Mike was sure to express it in true color. Mike’s work equity was beyond excellent. Mike has an excellent sense of humor & interaction. With such a full schedule Mike still came through like champ. Rik D.
The Contract negation issues we encountered I would say we’re neither unusual nor unexpected. Mike Marshall did a great job of helping lead us through the process. Thank you! 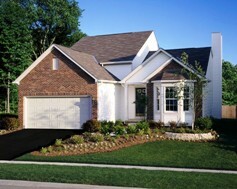 We are very pleased with the home buying assistance and love our new house. Brian D.
There were no problems; Mike did a great job of guiding us through the process and making everything seamless. Mike was fantastic; we cannot say enough good things about him. He was always professional, thorough, and intelligent and kept us well informed, through every step of the way. We have referred those that mentioned about buying a house to your business. We felt like family and he was watching out for us. Shannon R.
Mike is very knowledgeable about house buying, central Ohio, trends, house condition, and process. We did not do much negotiation; the seller accepted our first offer; but Mike did a good job listening to my idea for an offer, and did a good job consulting and discussing. Mike is a person of high integrity. Mike was very accessible by email and telephone; also, when he was not going to be available for a period of time, did an excellent job communicating that. Mike is a very hard worker, including working in the evening and weekends; left other realtors “in the dust” in this respect. He was pleasant, respectful, willing to make us comfortable, communicated well. Mike had superb time management and follow-up and thorough; “ran circles around” the listing agent in this respect; observed all timelines and deadlines. He is very professional, courteous; keeping the goal in mind, while also attending to the personal side. Mike knows what he is doing, and willing to adjust when necessary. Mikes timeliness was unsurpassed; kept all parties in line with the time goals; responded very quickly. Stephen H.
The process of buying this house could not have gone more smoothly. I have already recommended Buyer’s Resource (and Mike in particular) to friends who are in the market, and will continue to do so without hesitation. I’ve flirted with home-buying in previous years, so although I never went through the whole process before, I’ve had several Realtors represent me as a buyer in the past. Never again! Mike could’ve won my recommendation simply by diligently pointing out both the pros and cons of each property we viewed, but he went so much further. He pulled back the curtain that obscures the whole real estate process. Jim F.
Mike Marshall is a stand up individual. Not only was Mike patient and kind, he provided us with the resources and tools to purchase out first home. I would recommend Mike & the Buyers Resource group to anyone looking to buy a home 1000 times over. Jorge G.
Mike started by explaining the home buying process to me, and then went out multiple times to look at homes. When I found one I wanted to bid on he handled the whole negotiation with the seller’s agent, arranged for the home inspection, provided me with referrals, sent me reminders to keep me on track with all the paperwork and to set up utilities and came with me to the closing. All I need to do now is move in. Mike came recommended to me by some friends who were also working with him to buy a home. He was very knowledgeable about what to look for and he taught me a few things as we looked at several homes every time we went out. Mike guided me through the daunting process of finding and buying a home as a 1st time homebuyer. He was always on time and full of energy, knew what things to look for and ask for and in the end I feel like I got a great deal and a cute little house that I hope to be happy in for a while. Everything went as smoothly as possible. Dawn W.
Smoothest home purchase I’ve ever had. Mike is awesome! Very knowledgeable, flexible, and extra helpful! Tammie & Richard E.
No issues. Everything went very smooth. Maren C.
We found major plumbing issues due to the home inspection. Mike helped us by going back to the seller and asking for repairs to be done, even though we had already signed an “as is” document. He really went the extra mile as well as the seller, who fixed everything we asked for. It was an absolutely fabulous experience from beginning to end. Mike really knows how to put a buyer at ease. He is professional yet down to earth. He answered all our questions and was very flexible in finding us our perfect home. Tom D.
We encountered absolutely no problems before, during, or after our home purchase. We couldn’t be happier with how our first home purchase turned out. I have and will continue to recommend Mike to anybody thinking about purchasing a home. I was extremely nervous about buying a home, and he made the process so very smooth and easy to understand. He always had our best interests in mind, pointing out what was needed, what was wanted, and what was crap. We could get ahold of Mike day or night, and the personalized website made looking for homes so easy for someone who works nights. We can’t say enough good things about Buyer’s Resource. Thank you. Browning N.
Mike was a pleasure to deal with. He was very helpful and knowledgeable. It was clear he was representing my best interests in the negotiation. Rich C.
Mike was outstanding! I will recommend his services every chance i get. Mike knew how to make a deal work! Mike told it like it was – he’s very straight forward and left to us to make the final decision. The reason we chose Buyer Resource was the reputation it has to put its clients first. Our first realtor would take days to return an email or phone call and it was felt that we were interfering with her schedule. Mike always made sure he was in constant contact with us. Geez, mike works weekends!!!! That’s unheard of!! =D. Mikes follow up was perfect – there was never a time i had to “wait” for a follow-up. He was communicating with us right after his foot surgery! He also made sure there was another agent (Andy) available and ready to help us. We would use Buyer’s Resource again without hesitation. Dennis S.
Mike was excellent. Everything he did was beyond my expectations as a first time home buyer. We basically told him what we wanted, what we were comfortable with, and he negotiated when necessary without having to go back and forth with the seller/seller’s agent. Aside from most of the homes within our price range and taste being in contract or sold by the time we decided to look at it. Once we found our house, the whole process took place without a hitch. Mike was a perfect 10 in everything he did for us. Once Mike knew exactly what our limits and expectations were, he did all of the negotiating, without us having to make another decision with every rebuttal from the seller/seller’s agent. Mike is extremely honest and tells it to you like it is, good or bad. He told us to pass on houses if he saw it had major potential issues in the future. He truly looks out for the buyer. It was never a problem reaching Mike. He always responded the same day to any questions or issues we had. He worked diligently on any issues or questions we had even when he just had foot surgery and was out of commission. Rest assured the Colonel can trust Mike with his secret recipe. Mike is extremely professional, down to earth, and has a good sense of humor. Mike is always a phone call or email away. Having to repeatedly follow up with him was NEVER an issue. Mike is extremely professional, but not to the point where someone becomes very sterile to work with. He is down to earth and was very pleasant to work with. Mike knows what he’s doing! Mike always followed up within the same day. Despite his busy schedule, I can always expect a response from him by 7:30 PM every evening. Mike got the seller to pay so much of the closing cost; we were able to buy points toward our interest rate. Without a doubt I would use Buyer’s Resource again. However, I would not want to deal with Buyer’s Resource when I am the seller! Mike (and Andy at closing) was definitely looking out for us throughout the entire purchase process. Danny L.
Mike at Buyer’s Resource guided me through my first home buying experience. From the first showing to closing Mike was there 100%. He answered every question I had. I loved that Buyer’s Resource had recommend service professionals that saved me time and money. Their recommendation to my lender saved me thousands of dollars at closing!! Janet S.
Mike worked as out buyer’s agent while we purchased our first home. He set up showings for us based on our criteria/choosing and walked us through each step of the home buying process. Mike was a pleasure to work with. He worked hard to show us numerous homes of our choosing within a tight time frame. He was very knowledgeable about every step and made the whole process run smoothly. He contacted us daily with either new listings or updates on our offers and while in contract. He comes highly recommended for any buyer! Dan & Lauren M.
Mike Marshall helped me from step one of this adventure which turned out to be a very pleasant one for me. Mike explained each phase of buying a home, from searching for homes, to lenders, credit, all the paper work, etc. I really don’t think I would have ventured into this without someone like Mike. He was very honest, told me upfront his opinion on houses and what to look for. And he was always available. I was in search of my 1st home and wasn’t sure what or where to look. With the help of Mike Marshall, he helped me with a profile and stared sending me many homes for me to look at. Then I could just let him know which ones I would like to see and he made all the necessary arrangements for us to so. I was looking at so many homes that I felt guilty taking up so much of his time, be he was great the entire time. I did find my home with his help. I don’t think I would have had such a great experience. Thank you so much for making my dream come true. Terri D.
Mike showed superior follow-through, was responsive throughout the process, answered all questions accurately, and took the time to provide information and opinions where those were helpful to make an informed house-buying decision. Mike is very professional, and I highly recommend him to those looking for a better home buying experience, whether you currently live in the area he serves, or are relocating from a remote location. Mike has outstanding service, knowledgeable, excellent communication, responsible and helpful. Rosario H.
Mike is the best! He is extremely knowledgeable, professional, and courteous. He always made us feel that we were his 1st priority! Simply amazing! Kent R.
Mike Marshall at Buyer’s Resource Realty Svcs represented us as our Exclusive buyer’s realty agent during our recent relocation to Columbus, OH and new home purchase process. Mike has been an invaluable realty partner and resource during our recent relocation to Columbus, OH. His knowledge of the real estate market in Ohio combined with deep experience working through complex real estate transactions and unwavering ethics helped us quickly locate and close on a home that met our family needs in an outstanding location at a reasonable price. Mike provided extremely responsive follow-through during the entire process. We couldn’t have relocated so quickly and easily without Mike’s valuable assistance! Keith M.
Mike served as our buyer/broker for the purchase of our first home. He walked us through every step, helped answer financing questions, and coordinated various contractors/inspectors for appointments. Mike did an amazing job with all aspects. He sat us down from the very beginning and walked us step-by-step through all aspects of finding and purchasing our home. Guy E.
Mike, was our buyer’s agent and helped us purchased our home. Mike was thorough and helpful. Through the entire buying process, he ensured all of our questions were answered and helped us buy an amazing home. He also, carefully managed the inspection and kept on our lender to ensure things were moving along as expected. Jason & Erin D.
Excellent! He explained key points which are usually ignored by dual agents. Gary & Jessica S.
Mike did an excellent job helping us find a new home. This is the third home I’ve purchased with Mike’s help. Mike promptly sends detailed information about homes we are interested in & set up set up home showing usually in a day or two. Mike is very responsive to e-mail & provides a wealth of information about the buying process. Everything from start showing to closing went smoothly. Tammie G.
Mike was a heaven sent help in this big task. He helped us search for the home and explained everything. He handled the negotiation with the sellers very professionally and got us a very good price on the house with the sellers paying our closing costs. Even after closing he was still so nice to provide us with contacts for a handyman, etc. Overall, he is not only a good real estate agent but also a likable and trustworthy person. Hakan C.
Speaking from a loan officer’s perspective Mike is considered one of my favorite business partner’s. His contracts and negotiating skills are some of the best I have seen among his peers. You can’t go wrong hiring Mike as your Buyer’s agent. Jackie C.
Michael has proven to be an outstanding Exclusive Buyer’s Agent who delivers great care and advice for our Buyer-Clients – getting them the best price and best terms as well as negotiating inspection issues that always come up! Andrew S.
Michael was an excellent resource who helped us find the perfect house. Jennifer K.
Mike was a Buyer’s agent for me when I moved back to Ohio. Mike was very professional and I enjoyed his help in the entire process. I would recommend Mike to family and friends. Rich P.
Having known Mike for over 20 years I can attest that foremost among his many fine qualities are his integrity, intellect, dedication and perseverance. These are the qualities that he brings to bear upon every task that he undertakes both professionally and personally. His ability to stay appraised of every nuance of the home buying process makes it a pleasant and positive experience for those who are fortunate enough to engage him in this important decision. Brian C.
Michael is a conscientious and competent Buyer’s agent and I would recommend him to anyone looking for a realtor to watch out for their interests and give honest advice. Julia F.
I have worked with Michael for many years and he is very detail oriented. Michael has genuine concern and care for his clients; he works in his clients best interest at all times. Heidi J.
Mike is an excellent buyers’ agent of high integrity and ethics and I recommend him highly to anyone buying real estate. Jeff L.
I began working with Mike and some of his clients about 8 years ago and would not hesitate to recommend him to someone buying a home. He truly has his client’s best interest at heart and does a great job at representing his clients. Derek H.
Michael is very professional, punctual, knows his business and VERY reliable. I will use him again and would gladly recommend him to all friends, family and coworkers. Amber C.
Michael was more than helpful when I bought my first house so I have been in contact with him about purchasing my second. I have a crazy schedule with two jobs and I am a country girl who wanted a home out in the middle of nowhere. He would drive out of county for miles and miles in the rain and snow to show me a home late in the evening. He was always on time and never cancelled on me. He always had a positive attitude, which makes things easier when you are making the big step to purchase a home. Michael Marshall ROCKS! I highly recommend him. Katie S.
Buying a house always has challenges. Some of them are fairly routine (negotiating price, etc.) and others can be specific to the situation (seller takes pieces of the house after negotiation but before closing, date house was built is not in city records, etc.). Mike was able to deal with the routine and the unique challenges of my last home purchase with skill and a real knack predicting what the next issue would be! I’d definitely recommend him. Riley S.
Mike is helpful, knowledgeable, and accommodating as a buyer broker. He went out of his way to show us homes that met our wants and needs, and was very informative and unbiased in his assessments. He showed us all sorts of homes within our price range and was objective about all of them. 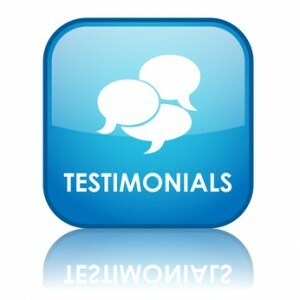 We used Mike more than once and have been very happy with our experience. I would (and have) recommend him to our friends and family. We feel very fortunate to have worked with Mike; he made our first home buying experience manageable and exciting. I definitely look forward to working with him when we purchase our next home. Megan C.
Wish I could pick 5 attributes as Michael’s creativity got the deal done and he’s certainly an expert. Really enjoyed working with him and as such have already recommended him to others and will continue to do so. We weren’t an easy or tidy client to work with and we never once heard a complaint about driving all over Central Ohio to land the perfect property on a tight time frame. Can’t thank him enough. Chandra B.
Mike provided a list of condos & homes to suite our requirements. Visit properties & guide help in negotiating, follow up on property, inspection, financing & settlement. Mike Marshall was very professional, extremely helpful in every aspect from start to finish. He is very dedicated to satisfy our needs. Mike performed his services well above our expectations. Hard to find such dedicated & sincere as Mike. Kumud N.
Mike is a professional in this field with the best interest of customers in mind. As first time home buyers, he took the extra time to explain everything and address all of our questions and concerns. I would highly recommend him to anyone, whether a first time home buyer or someone who is looking to sell existing property. Brady S.
I realize this is late in combing but I wanted to thank you for all of your assistance with my condo purchase. Your assistance allowed the process to go almost perfectly. I had heard horror stories about buying real estate but my experience was very positive. You even helped with the mortgage. Thank you also for all of the house warming gifts. The basket has come in hand during the last few weeks and the Lowes card was an adventure. I appreciate all that you did to assist me in the purchase of my home. Madelaine G.
I went into the home buying process very skeptical. The previous year I had been going to buy. I found a real estate agent by calling the number on the sign of the condo that I was interested in. She showed me the condo and found out I wasn’t represent by anyone. She immediately pushed me to sigh with her. I also explained exactly what I was looking for. The one time we went looking, out of the ten places we saw; only one fit my criteria. I gave up and rented an apartment. This year I decided to try again. I looked in the yellow pages and called tow real estate agents. The first thing both wanted to know was how much I was qualified for. I said I knew how much I wanted to spend. Both seemed to brush that off. I then saw the ad for Buyershome. It said we represent people not property. I called and Mike Marshall answered the phone. I met with Mike and for two hours he explained to me what a buyer broker was, how much they would charge and what I could expect from him. I signed with Mike. I told him what I was looking for. He found properties that fit my criteria. We looked at 20 plus homes. He never rushed me. I always felt he was looking out for my best interests. He was very professional and most importantly trustworthy. I would recommend Mike to everyone I know who is buying a home. I also plan on sending my sons to Mike when they are ready to buy their first homes. Thank you for a great experience. Cindy R.
My wife and I were very satisfied with the quality of service that Mike Marshall and Andy Show of Buyer’s Resource Realty Services delivered when we were buying a house in Columbus. Mike was very helpful day in and day out as we searched for and visited numerous houses. Mike has a keen eye and didn’t’ hesitate to point out both the positives and the negatives of the different houses on many different levels. His knowledge of house construction stood him in good stead as he was able to steer us away from some houses that had structural problems. Furthermore he genuinely had out best interest in mind in finding a house that would meet our needs and desires. His tireless work in the endeavor was much appreciated. Buyer’s Resource also provided lots of information about other organizations to facilitate the home buying process (e. g., mortgage companies, title companies, inspectors, etc.) The house inspector did the most thorough and complete job that I’ve ever seen. I would recommend however, investigating and comparing the mortgage companies very carefully based on your specific needs. We found some were dramatically better and more up front that others. In sum, we highly recommend, not only choosing a Buyer’s agent, but choosing Buyer’s Resource. The quality of service was outstanding and the desire to make the customer satisfied was paramount. Galen & Teresa T.
We owe you a big thank you for making this whole process go so smoothly. I can’t count the number of times we both commented to each other how lucky we were to find someone so detailed and thorough! Your expertise and help really meant a lot to us, and we sincerely believe it wouldn’t have happened without your help. We won’t hesitate for a moment to recommend you to anyone we can. Raenell N. & Jeff D.
Mike was fantastic to work with. He was always prompt, professional and very knowledgeable. Gary H.
Mike helped my husband and I buy our first home. We liked him so much we wanted to use him to help us buy our second home. He is very personable and conscientious about his work. 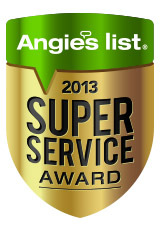 Angela R.
Mike was great to work with and made sure we were taken care of throughout the whole process! Miranda & Jason V.
Mike helped my partner and I buy our first house. We were both pretty nervous and had a lot of questions, but Mike was with us every step of the way. All of our questions were answered, and he worked hard to find a house that had everything we were looking for. We love our house! Conor D.
Mike is a great guy to work with. We worked with mike to purchase both our homes. He is very patient, highly knowledgeable (i would say an expert), punctual, very friendly, has good resources. We are very happy to have known him in our buying experience. He walks you through the process of home buying and is there in all steps of the process providing his valuable suggestions and recommendations. Even after buying the house he keeps in touch and provides useful information. We have recommended him too many friends and will keep doing that. Vikram P.
Mike was exceptional. Mike represented us as a broker in purchasing our first home. We knew very little of the process in buying our 1st home. He worked beside us each step of this way. He is very knowledgeable & always had our back making suggestions to get us the best home for our money. We could not have done it without him! Julie & David O.
Mike was an excellent buyer’s agent. He was very organized and punctual. He efficiently saw numerous ways. He provided practical input about a house, pointing out problems. When we found our house, he took a long time to research comparable houses to assist with our offer. Jen K. & David F.
Transaction was executed seamlessly. We sold our previous home and bought our current home the same day. All documents were thorough and comprehensive. Timely! We appreciated Michael’s guidance and expertise as we searched for a home in a new city. Level of professionalism was huge for us and we received personal attention 24/7 throughout the process. Highly recommend! Janelle B. Thinking about moving to Columbus Oh or the surrounding area? Well then you need an Exclusive Buyers Agent in your corner and LUCKY for you, you found one in Michael Marshall. Michael works 100% of the Time for Home Buyers and knows many of the best ways to save his clients’ money and to protect their best interest. Make sure you call him today! 100% for Buyers. Ron J. My husband had used Mike during the previous purchase of a condo. When it was time for us to purchase a new home, my husband immediately thought of Mike. Mike did not put a lot of pressure on us, but rather allowed us to look at homes in our time frame. We never felt pressured to buy when we weren’t ready. When we looked at homes, Mike was very organized. He researched homes before we looked at them, so we knew the history. Mike was good at pointing out potential pros and cons of various homes. He also did a great job negotiating with the seller and helped us get a good price on our new home. He was organized and responsive. We never had trouble getting hold of him or corresponding with him. Dr. Nick & Erin P.
Michael was very knowledgeable of the area we were looking at for a home. Very thorough in pointing out structure and concerns of that home. We were very pleased with his service and would use him again. Robert & Diane C.
Mike Marshall was fantastic. He worked with us through the process and we could not have asked for more from him. Mike represents real estate buyers so I never needed to worry if he had another motive. He kept us focused on what we wanted and negotiated will for us. We cannot recommend Mike and Buyer’s resources highly enough. Heather & Rich C.
We will only use Mike Marshall. Teague W.
Mike Marshall helped me find and purchase my house, assisting and advising with financing information. Mike was incredibly knowledgeable, organized and efficient. He kept inconstant contact with me through the entire experience, and even afterwards. He was always available to answer questions and explain the process. Cathy T.
Mike will be the first and only person I will call when purchasing another home. We trust him with every aspect from beginning to end. Jamie L.
Without a doubt. i absolutely could not have been happier with my Buyer’s Resource experience and have recommended Mike every chance I get. Erin B.
Mike Marshall was a tremendous resource. We were very impressed by him and valued his opinion. Craig S.
The year is finally coming to an end and 2013 is almost upon us. 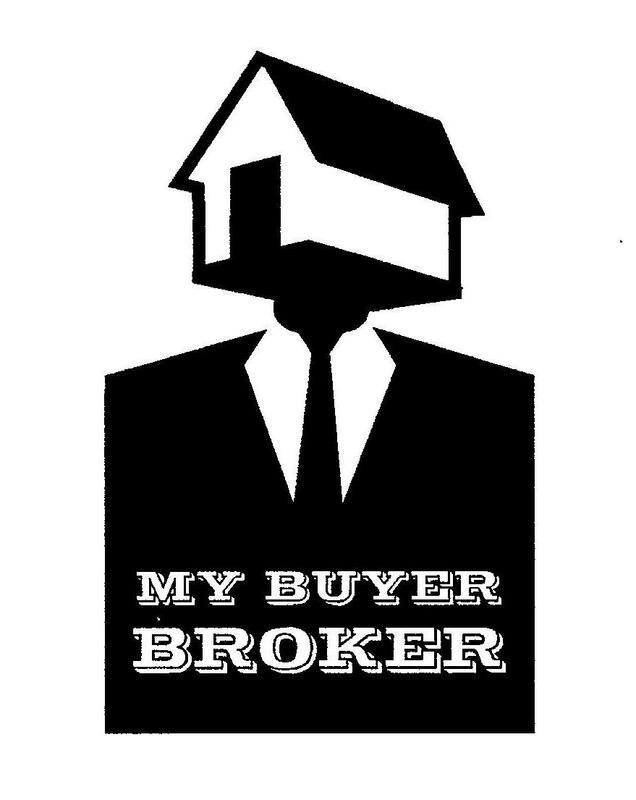 2013 will mark the 18th year that Buyer’s Resource Realty Services has been representing and protecting ONLY home buyers in central Ohio. We are the oldest established Exclusive Buyer Agency in Columbus, Ohio. If you are a potential home buyer then Buyer’s Resource is your best choice. No other real estate brokerage in Columbus that represents buyers exclusively can compare to our total experience and number of client transactions (1,000+). We are dedicated home buyer advocates who always represent the best interests of the buyer. For more information you can review my Testimonials & References! Way back in 2007, I started this blog (HomeBuyer’s Advocate!) to be a resource of important real estate information for my clients and any potential home buyers. I’ve been very fortunate that a few of my blog posts have been referenced in local newspapers and a national magazine publication (“This Old House”). I honestly don’t know how this happened because I think I have the writing skills of a junior high school student (LOL!). One of my major goals for 2013 will be to reach 100,000+ views on my blog. Stayed tuned during the next few weeks for some interesting topics and posts for home buyers. My upcoming blog posts will have timely and important tidbits of information that every home buyer should know before they start the journey of buying a home. In 2013 I hope to continue and expand my blog as an invaluable resource for future home buyers. My vision is for HomeBuyer’s Advocate Blog to be the preeminent resource for information in Columbus, Ohio for home buyers. Please feel free to contact me if you need help or have questions. How do you like you the “snowy background” on the blog? I think it is very festive. Squeaky floors are an annoying problem that can affect both newer and older homes. Typically squeaky floors occur when your wood flooring (plywood sub-flooring or hardwood) dries out and shrinks. The squeak you hear can either be your wood floors rubbing against your floor joists or the flooring nails have become a little loose. The basic fix is usually just to screw the wood flooring to the joists. But, If you have newer carpeting or hardwood floors then the fix is a little more complicated. I discovered a few of low costs solutions that might work for most home owners. All of these methods are very inexpensive (approximately $10 – $30) and not the hard to do for even for the most “home repair challenged” home owner. You should be able to purchase these items online or at your local hardware store. I have NOT used these products and I do NOT endorse them. But, they appear to be a great, easy fix for a very frustrating problem.